This last week Sara and I got excited. She was making shirts for her cheer team -- then as usual-- we had a million ideas and it went from there. So needless to say she's been busy and I've appointed myself her graphic designer and great things have happened. We've created some fun patches/pockets for School Spirit apparel. You buy the iron on and put it on YOUR favorite tee. Easy! The greatest thing that has happened-- is we've had a this one week out of this whole summer that I wasn't working --and we spent it together. Making. Creating. Laughing at ourselves (mostly me.) Doing what we love most. Yes, there are plenty of other things I should have been doing, but this was the last week before school started. I can look back on this and remember these happy times, the togetherness. Time well spent with my girl who is growing up way too fast. And this linen towel for a special friend. I'd like to think I'm a decent writer. Don't judge based on my blog stats, or by proper useage/grammar, etc.-- lol... but no matter if folks aren't interested in what I have to say, I really do like writing and reflecting. Speaking from the heart. Its good for my soul and maybe another soul might find a blessing in what I have to say. I think that as a designer that its a benefit to have some decent writing skills so I try to expand my copywriting skills by practicing here and there. I'm writing some content for a project I'm designing for my Fine Printing and Book Making class at UAFS and its been interesting. I'm basically writing a little bit about how a quilt is a metaphor for life. I think its an interesting concept and I've enjoyed exploring it. 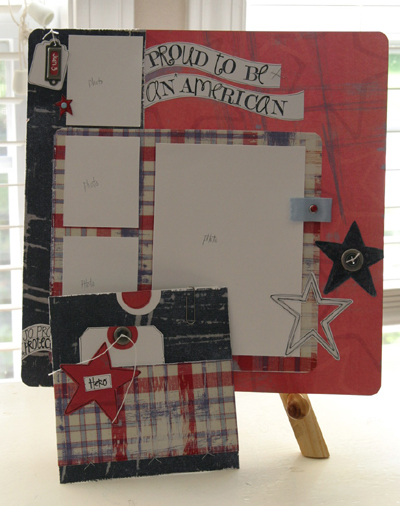 In considering the design, I've really tried to engage my thoughts--even watched How to Make an American Quilt! I got to thinking about this quilt--used and a little abused, loved by us all...it stays on the couch or somewhere thereabouts ready to warm on a chilly day. Its threadbare in some parts. I don't know exactly how old it is, but its very pretty. Hand quilted, all hand stitched, by Scott's grandmother. Its really a beautiful thing...on many levels. This has been a process that I've really enjoyed building upon and simplifying. I've edited my thoughts into short bits to relate the ideas. This particular page relates the stitches made in a quilt to a person's works in life...dedication, love and concern make resilient stitches while a sloppy job yields a poor outcome. Just a little glimpse. The closest I've actually come to making a quilt is this bag I made last summer...which I love. Its still upstairs hanging where it was when I finished it-- maybe I'll carry it to keep my mind on quilting and trying to design a good life. What a week this last one was-- it culminated in a wonderful, precious time with many of our extended family. My baby sister Jenny is due in May and only has a few short weeks until we will meet her little bundle! Without Sara and Abby I would have never been able to pull off getting the house ready for the shower. We worked a bit all week, cleaning and prepping and Sara and Abby crafted most of the pretty decor. I tested recipes on Thursday...and ended up baking five quiche and 3 dozen orange cranberry scones.Quiche was a hit...you seriously can't go wrong with Paula Deen. We also made Pig'n Blankets (little smokies and crescents), chicken salad sandwiches and had a couple of yummy cheeseballs and fresh pineapple. The shower was a drop in from 10-1 so I wanted to include a brunchy selection. All of the decorations can be used in the baby's room or for photo props later so Jenny gets to keep all of that. These roses are some of the most beautiful silk roses I've ever seen (from Wal Mart of all places $2 each). Most all of the decor we pulled from things we had with the exception of purchasing the different pink fabrics. You can check out some in progress pics of the garland on my Instagram. My sister in law made probably the best cupcakes I've ever had and the prettiest pink! So good! We sprayed candle sticks with gold spray paint for the cupcake stands. The scallop tops are a Wilton product that was silver...sprayed gold and glued onto the top of the candle stands. Little holders for forks were from Glade flameless candles...a little spray paint and voila! The baby's room is light pink and gold...so we went with that. Invitation design by Paper Belle. Sara made this cute little diaper cake for Jenny. And its back to boringsville. The best tip I can give you is that $5 flat sheets (also WM) make the best tablecloths! We live in a small town so when you need something -- WM is your only option to run to, unfortunately. I happened onto a clearance set of black sheets at Target a while back and was needing a black table cloth for something...worked perfectly. My hubby has a special sweet spot for Jenny, as he has gotten to see her grow up into a gracious, beautiful, successful woman. And seeing her make this step into Motherhood is pretty wonderful. He made her a rocking chair just like he made me...pretty awesome. Wanna see more from the shower...check out Jenny's Instagram. ...a sweet pleated/ruffled pillow cover. I wanted to show the gals how to sew a simple pillow cover and embellish it at the same time. I love my linen cover with bright contrasting strips of ruffles. Precious! I was so proud of the pillows the ladies turned out. I thought I'd share this tutorial with you since I had typed it up for the class-goers. I don't have step by step images to go with the instructions but I tried to explain well and include visuals. This is a beginner level project. Hope you enjoy! Sonya's so Bright and fun! Maggie's rocked! What more is there to say! Where's the off switch? Between my fun little job, the class I'm doing this summer and the kids and a few creative binges--well, there's just not enough time in the day :0 Stayed up late last night filling a couple of Etsy orders and then up at 5:30 to get to the peach orchard :) LOVE going to pick fresh peaches!!! And eating myself silly on peaches for about a week after! It's super di-duper hot here in Arkansas. Weve been breaking records and have gone nearly a month without rain. Thru it I'm proud to say I've kept up my walking and so excited that I just joined a local fitness place called Core Fitness. I'm gonna try some classes in conjunction with my walking/jogging and try burn through a few pounds. I'll be starting tomorrow ;). Back on walking--Too funny my route of choice is about 3+ miles and takes me down the hill to Scott's shop. Is it wrong if I take his truck and drive myself back? Lol!! My job is very fun and its a great opportunity to be creative too! My boss and co-workers are all creative and we all seem have a unique gift that lends to the store. I've really enjoyed having a little something to offer-- we've been designing tees and tote bags and this afternoon I've been sewing tote bags! (Blogging via iPhone so all the pics will be lumped together.) I did a cute shirt to match a hat we have in the store for a little guy's birthday attire. I spent this afternoon/evening perfecting mass production mode of sewing the personalized tote bags we'll be offering soon...so far I have a teacher and owl. Really, who can resist ruffles!? Sweetness...I'll show more later. Combined THIS tutorial and the rolled rosette = fun baby bag bloom!!!! bought this pattern a while back...can't WAIT to make it!! Sew cute! 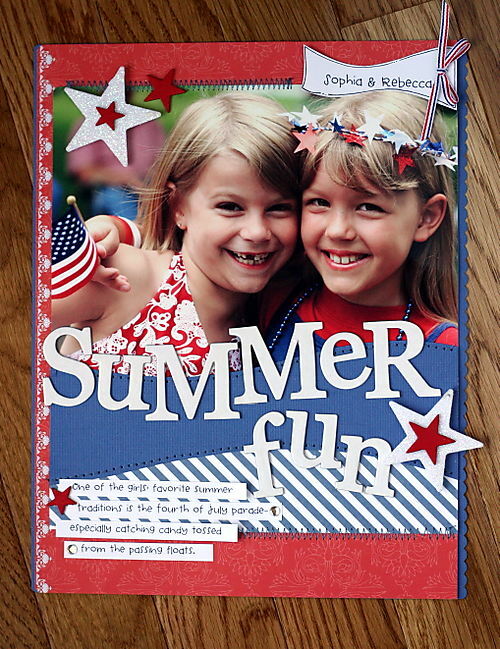 what fun vacation goods from Bella Blvd. ...super classy, chic TRAVEL LEDGER collection from Teresa! Oh MY! I love. It was very REFRESHING. Quite liberating that I didn't have to check email, take calls and had no control to fix it for a period of time. Sorry if you're waiting to hear from me...I'm dealing with the backlog as I can. I think I'm up and running now-- and my phone is behaving though I'm really hoping it will just die then I wouldn't have to justify wanting THIS! I think it's time...I really do...for me to have one. We'll see? I had meant to get this done before Abby's birthday (making a dress and matching doll dress) but I didn't...however, when I spied this vintage sheet for a buck at a yard sale last Thursday...I was inspired. I thought the color would look gorgeous on Abby. My version of the pillow case dress, I guess...sheet dress! Used a super easy pattern for Abby's-- because I wasn't sure on cutting the armholes. I made a dress for Sara too...need to get a pic of that one! So adorable! Cash got new pjs. No pattern for the pants-- just used a pair of shorts to trace off the shape. And stitched one of the images onto a tee shirt for a fun set. HE LOVES them. Made him a Lightin' McQueen pair too! My zinnias are blooming...I may have mentioned these...I've nurtured them from seed and now that are coming along! LOVE this color!!! I have a couple of squash plants in this bed too...and some tomatoes coming from seed! I even found a basil seedling when I was weeding yesterday! It's so fun to discover things like this.